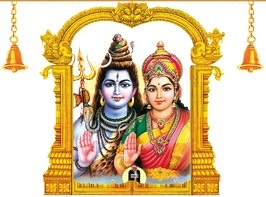 Nadathurappu Mahothsavam at Thiruvairanikkulam Temple is Goddess Parvathi’s Sreekovil will be opened for worships to devotees. This Sreekovil will be opened only 12 days in every year on Thiruvathira star in the Malayalam month of Dhanu. Nadathurappu Mahothsavam will be start on 22nd December 2018 at 08:00 PM in the evening and end on 2nd January 2019 at 08:00 PM.The temple can be accessed from Aluva by traveling 11 km on Aluva – Perumbavoor KSRTC route. The Goddess Parvati shrine will be opened from 04:30 AM to 01:30 PM in the morning and 04:00 PM to 08:30 PM in the evening. Thiruvairanikulam Temple Nadathurappu Mahothsavam in 2018 will start on 22nd December 2018 at 8.00PM and the conclude on 2nd January, 2019 at 8.00 PM. Temple will open for the devotees on 22-12-2018 at 8.00 PM, On other days the temple will open in the morning session at 4.00 AM to 1.30 PM and evening session 4.00 PM to 9.00 PM. The mahotsavam will conclude on 2-01-2019 at 8.00 PM. Nearest Railway Station – Aluva 10 km. Nearest KSRTC Station – Aluva KSRTC 10 Km and Perumbavoor KSRTC 10 Km. Daily bus services available through Aluva – Perumbavoor KSRTC route.